Capitol Hill. June 7, 2015— Irish-Americans in the State ofstunned to belatedly discover that the Nebraska Senate had sneakily repealed the Mac Bride Principles back in 2011: LB303, sponsored by Omaha Senator Beau McCoy, March 4, 2011. 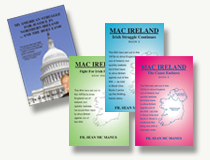 The Mac Bride Principles — a corporate code of conduct for American companies doing business in Northern Ireland — were launched by the Capitol Hill-based Irish National Caucus on November 5, 1984. The Principles were passed by the Nebraska Senate in 1994 to ensure that Nebraska dollars would not subsidize anti-Catholic discrimination in Northern Ireland. Fr. 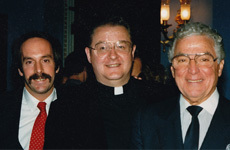 Sean Mc Manus, President of the Irish National Caucus, said: “ In 1994, the Nebraska Senate took an admirable stand against anti-Catholic discrimination in Northern Ireland. Fr. Mc Manus tells the Senators: “By this letter, I am polling you and all the other Nebraska Senators on this matter. Your response— or lack thereof —will be widely shared among the Irish and Catholic population of Nebraska, and with all 213 media outlets in the great State of Nebraska.